Outdoor Adventure USA (OAUSA) hosts Borrego Fest, a family friendly event that takes place at Butterfield Ranch RV Resort in the Southern California Desert town of Julian each year. This year's event takes place October 6 - 8, 2017. Activities include trail runs, ham radio testing & demonstrations, potluck dinners, mine tours, wine tasting, and a raffle. This year, in honor of the event, OAUSA set up this special event station as many of the attendees are HAM radio operators. Borrego Fest, with it’s group camping, helps to promote a feeling of camaraderie among the members, and creates an opportunity for those who many not know each other to share in the event face to face. Outdoor Adventure USA, LLC, was originally created by off-roading enthusiasts who also happened to be licensed Amateur Radio operators. We discovered that safely enjoying outdoor adventures seemed to be a perfect marriage with Amateur Radio. The outdoor adventure aspect of this group is focused on activities which involve exploring and enjoying the tremendous abundance of great outdoor adventures which exist in the USA. We focus on safe and responsible use of the land, camping, vehicle preparation and maintenance, cooking, wilderness survival, first aid, Ham Radio (operation, installation and maintenance), photography, firearms, and many others. 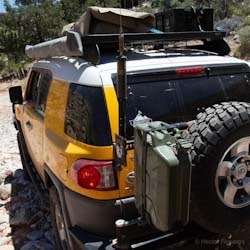 These reasons all have a relationship to Ham radio, an indispensable part of enjoying the outdoors, especially in the more remote areas where this adventure is sometimes the best.